LCT finance is a fast growing South African micro lender which has dedicated itself to providing finance and credit to thousands of clients through personal loans, blacklisted loans and short-term loans. Whether a client has good or bad credit, LCT is able to find and provide the appropriate finance package with the right conditions. With a flexible online application process and a 24 hour loan approval time frame, this micro lender has become the preferred choice for many. Apart from the loan service, clients also enjoy 3 in 1 package which includes a q-assist program, free loan finding service and a full credit report. This 3 in 1 package is available for R399 every 6 months. The comprehensive credit report offered to clients offers the following, personal information, summary of all accounts, summary of judgements, summary of loans and summary of all searches done. The benefits of this credit report are that clients are able to know their credit rating, be informed of bad debts, develop a shield between themselves and creditors and generally be protected as consumers. LCT finance can be contacted by filling in an online contact form or simply calling 0315392747. This entry was posted in Loans on May 16, 2014 by finance. Bad credit loans – The desire to assist individuals and families who are blacklisted or have bad judgements against them was the motivation behind the establishment of Bad Credit. Bad Credit is a South African based financial broker which has over the years assisted thousands of people to find loans and meet pressing personal expenditure needs like education fees, medical bills, home renovations, car repairs etc. Using an innovative simple online application process, this finance broker assists clients with personal loans of up to R150,000. This has been made possible due to the strategic partnerships developed with various loan providers over the years. To qualify for this credit, one needs to be 18 years and above, have an income of R1,500 or more per month, be in possession of an ID, show proof of residence and have a bank account where income is deposited and repayment debit orders can be collected. Apart from the loans, clients can use this reputable firm for a service package which offers an insurance claims processing service. This service is offered because the administration of insurance claims is important but also risks rejection if relevant paperwork is not done properly. Through this service, clients are therefore assisted with the submission of insurance claims to various insurance companies and brokers. Through this claim processing service, Bad Credit does the telephone and email correspondence, claim form completion, all quotes needed for the claim, submission of claim form, keeping a client informed of the process and ensuring that the claim is finalised in the shortest possible time. This assistance helps to save time and money. Bad Credit can be contacted on 0212020578. A loan application can done here. This entry was posted in Loans on May 12, 2014 by finance. Essential is one of South Africa’s the fastest growing micro lending institutions which was established with a vision of serving consumers facing unforeseen financial challenges such as education fees, medical expenses, home renovations or even car maintenance. 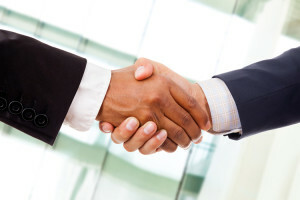 With a fast growing reputation and deep understanding of the financial business environment gained over the years, Essential credit provides clients with the financial injection required. With a guaranteed pay-out time of between 1 to 24 hours and repayment periods running between 3-30 days, this short-term loan is convenient and flexible for the consumer ensuring that a client can afford and also sufficiently meet their needs. The process of obtaining finance from Essential credit follows simple steps. The first step allows clients to use the online sliders to determine how much money they want and the length of the repayment period they are comfortable with. Clients can also indicate how much interest they will be ready to pay. Clients can then apply by using a fast paperless application procedure. Once approved, the applied for amount of money is released into the clients submitted bank account details. Repayments for this loan are done by debit order. Essential credit reserves the right to cancel a loan application if a client fails to pay instalments, commits fraudulent acts, if a bank statement shows reversed debit order or if fraudulent documents were submitted for the application. This financing house can be contacted on 0218510435 and trained consultants will be glad to assist. This entry was posted in Loans on May 2, 2014 by finance. Atlas loans, being established in 1994 with a vision of being a provider of financial assistance to all South Africans in an ethical, responsible and legitimate way. Today Atlas has serviced over 2 million clients with loans and established over 170 branches around the country. Because of the rich experience gained over the years, Atlas understands the needs of the market and individuals. Clients through this reputable firm can obtain loans of up to R8,000 with repayment periods that run up to 6 months with the option of a top up loan at a later stage. 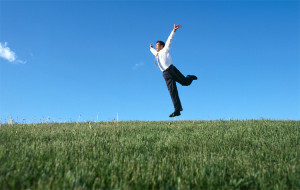 Customers also enjoy great promotions such as a chance to earn up to R600 by simply referring a new client. For every successful loan referred, Atlas loads 7.5% of the loan onto the Atlas finance Nucard. To qualify for this finance, a prospective client needs to be 18 years and above, have an ID, show proof of residence, present a payslip as proof of income, have a bank account where income is deposited and where repayment debit orders can be carried out. By doing business with Atlas, clients are assured of dealing with a lending financing house with stability, professionalism and credibility. Atlas can be contacted on 0877018665. This entry was posted in Loans and tagged atlas loans durban, atlas loans south africa, atlas loans westcliff on May 2, 2014 by finance. Showtime finance is a term synonymous with sports or entertainment activities. Showtime characteristic description of display especially of superiority. It is not surprising then that a business entity came on the scene with the showtime name. Showtime is a micro financing institution which is assisting thousands of clients with credit histories, judgements against them, garnishee orders, defaults or simply failing to meet stringent requirements demanded by commercial lending houses. This financing house offers credit from a minimum of R1,000 to a maximum amount of R15,000. This money is offered in form of pay-day loans which must be repayed within 30 days as well as short-term loans which should be repayed within the timeframes of 4, 6 and 12 months. This money comes with 5% monthly interest rate, a once off initiation fee which is added to borrowed capital, monthly service fee as well as credit and life insurance. Showtime also ensures that customers enjoy high levels of security, confidentiality and data integrity. To qualify for this credit, a customer must be between the ages of 18 and 65 years of age, be in possession of a South African ID, show proof of residence and have a bank account where income is deposited and monthly debit orders can be carried out.This financing house does not conduct any credit checks but lenders/brokers might do that. Clients should however note that Showtime does not offer credit to individuals who are under administration, insolvent, under debt review or under any debt restructuring program. Showtime financial solutions can be accessed by calling 0218255454. This entry was posted in Loans on April 30, 2014 by finance. Micro loan SA is the definition of a well-functioning and friendly credit and loan provider in South Africa. 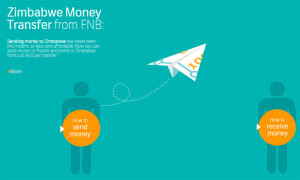 In a competitive financial market like the South African one, Micro loan SA has set itself apart by being easily accessible to clients, convenience with product offering as well as repayment terms and providing peace of mind to clients by knowing that they are dealing with a credible and registered financial services provider. This finance institution provides personal finance, smart cover and a range of cellphone contracts, tablet contracts and free insurance quotes. With a smart loan finding service offered to clients, Micro loan SA assists clients to source credit of up to R15,000 in a quick, easy and convenient manner. The well designed client portal allows clients to follow all the steps being taken regarding the submitted application and also get access to other offers, discounts and promotions. 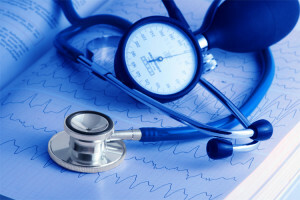 This service is offered without any charges of administration or processing fees. In the unfortunate event of death, the smart cover takes care of the financial burden of a funeral. This cover also extends to the spouse and 6 biological children and there is no need for medical examinations. The premium for this cover is only R35 per month. To apply for the personal finance, a customer should submit personal details like the South African ID number and residential address as well as employment details, salary details, monthly income and expenses, banking details and next of kin details. 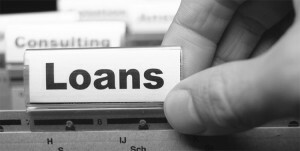 Clients can apply for this loan and credit by visiting the firms online platform which is the company website. This entry was posted in Loans on April 29, 2014 by finance. 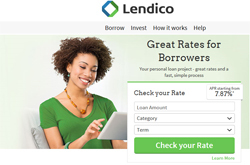 Lendico loans. The need for loan or credit intermediary services has become even more important over the years in the South African financial markets. Intermediary service providers assist clients with critical information regarding loan applications as well as identifying the right institution which can provide the right financial solution suiting budgets and needs. It is for these reasons that Lendco was established. This entry was posted in Loans on April 23, 2014 by finance.